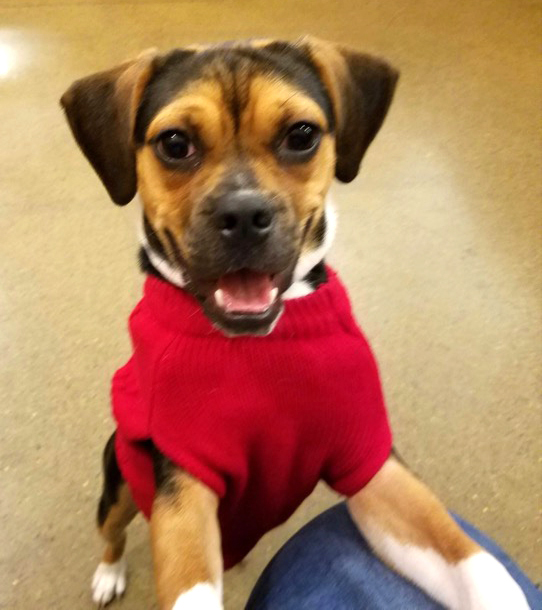 Hercules Mulligan is an affectionate and friendly 2-year-old Puggle who is looking for a loving home that can provide him with the time and attention he needs. 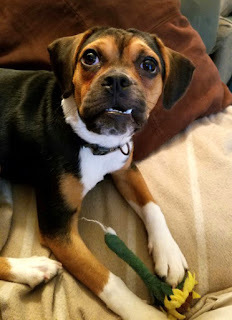 This playful boy gets along with other animals and loves to go for walks and romp around at the dog park. 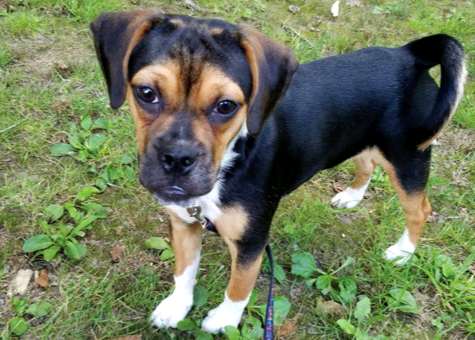 He has received basic obedience training and has been working with an in-home trainer. He has a stubborn streak but just wants all of the attention of the people in his life. This little guy is still figuring out the finer points of personal space and can be a little too generous with affectionate headbutts and kisses. He's working hard to overcome this, but would probably be a better fit for a home without small children. Hercules could benefit from having room to run around so he can get the exercise he needs. After 8 months in his home, Hercules' family has learned how sweet of a pup he is, but they know he needs a family that is able to provide him with the space, supervision and training that he needs. This lovable guy is neutered, up-to-date on all of his vaccinations and is in great health. Now he just needs the right family to help him grow into the great dog really is! If you can give Hercules the home he's looking for, contact Chris at 724.787.6212 or cmw.pittsburgh@gmail.com.